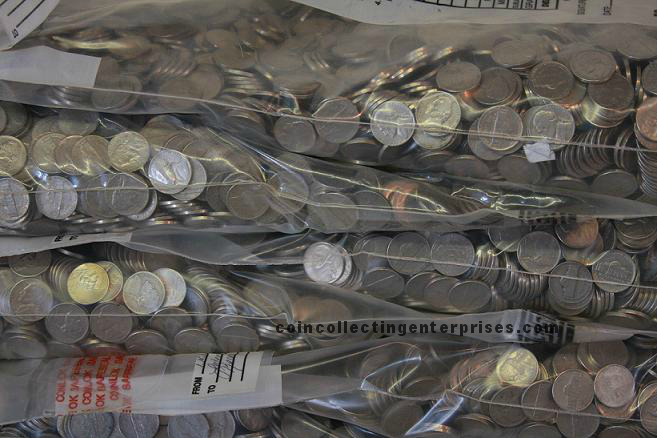 Want a larger quantity of copper nickels and wondering why we don’t have larger amounts of copper nickels listed in bulk? That’s because we wouldn’t be doing you justice listing it casually on our website. When your investment needs are this size, it is time to discuss what your individual needs are as a person. Treating everyone the same is what banks and investment firms do and that is not us. We need to talk to you, the investor, so we can accomplish your exact goals. Nickels have a metal value much closer to their face value than copper pennies. Because of this, we strive to make buying copper nickels extremely inexpensive. We accomplish this through freight shipping bulk orders in the amount of tons. Whether you want $10,000 or $1,000,000 in copper nickels, we can fulfill your investment needs. Contact us for copper nickel investing details on how to ship large quantities, best practices for receiving large copper nickel amounts, and most importantly, letting us know how we can make your investment dreams a reality. This is a limited time product based upon availability of nickels given the potential change in metal composition.